The guiding principle in compiling Learn Chinese with Me is to arouse the interest of ages 10 and above children to Learn Chinese, so the content is simple and natural and is suited for learning a second language. The exercises at the end of the texts are also full of interest and variety and will surely induce the children's participation. It guides the students from beginner to low-intermediate level. 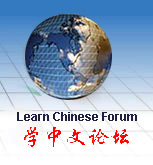 There are four student’s books, in Learn Chinese with Me, each of book has six units. Each unit in the second volume has five lessons, and with a total of 30 lessons. Its companion workbooks, listening materials and teacher’s hand books are available. This order is for student's text book Volume Two and CDs (Volume Two) together.